Discover quality care that will meet the needs of your family at Life Care Center of Charleston. 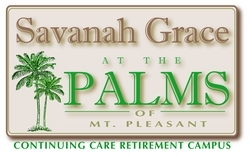 We offer state-of-the-art rehabilitation and skilled nursing care in a beautiful, home-like environment. Come see the difference our individualized care programs can make in your life and the lives of those you love most. Life Care Center of Charleston, opened in 1979, is a member of the Life Care Centers of America family of skilled nursing facilities. 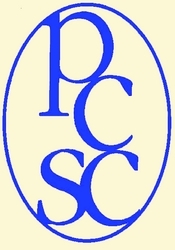 Founded in 1970 by Forrest L. Preston, Life Care Centers of America’s mission has always been to offer quality care. And we’ve been doing it in more than 220 communities for over 35 years. Life Care was founded with a strong mission and core values that even today are the foundation of everything we do. Our residents are our first priority and our associates are our greatest resource. Our top-notch therapy programs are designed to help patients get better faster. A skilled team of 45 in-house physical, occupational and speech therapists provides careful evaluations of each patient’s needs and creates a specialized program to restore them to their maximum functioning ability. Our large rehab gym is filled with the latest equipment. And our therapists are focused on learning the latest techniques, like our rehab-to-home program, Ready…Set…Go! The goal-focused nature of this program often leads to faster outcomes and a speedier recovery. And it ensures that each patient is fully able to care for him or herself before returning home. Rehabilitation is offered on a short-term and outpatient basis. Therapy services are available in our rehab-only wing with the option of private and semi-private rooms. We also provide specialized therapy services for individuals struggling with diabetic neuropathy. This specialized treatment program is planned and administered by licensed rehab therapists. Life Care Center of Charleston offers skilled nursing care for patients needing specialized medical services. A professional interdisciplinary medical staff provides comprehensive programs designed to help each patient reach his or her maximum level of wellness, and in many cases, return home after just a short stay. In addition to these skilled nursing services, Life Care Center of Charleston also provides post-hospitalization services, temporary care or respite services, and assisted living. Dining is a delicious experience at Life Care Center of Charleston. All menus are prepared according to physician’s orders and are supervised by a dietary professional. But not only do our meals meet our resident’s wellness requirements, they are also attractive and delicious. All are served to-order at a beautiful table and residents can choose a sweet treat at the conclusion of each meal. At Life Care facilities across the nation, residents are our first priority. And when you walk through our doors, you will notice a difference. We work hard every day to maintain our Joint Commission accreditation, so when you choose Life Care Center of Charleston to meet your family’s needs, you’ll know the experience will meet your highest expectations.